A court in Western-allied Bahrain sentenced 139 people to jail on terrorism charges on Tuesday and revoked the citizenship of all but one of them, the public prosecutor said, in the latest mass trial in the Gulf Arab state. Bahrain, which hosts the US Navy's Fifth Fleet, has prosecuted hundreds of protesters in mass trials and banned main opposition groups. Most of the leading opposition figures and rights activists are imprisoned or have fled abroad. Such trials, condemned by rights groups, became commonplace after a failed uprising in 2011 that was led by members of the Shi'ite Muslim majority in the Sunni-ruled country and crushed with the help of neighbor Saudi Arabia. The High Criminal Court handed out life jail terms to 69 of the defendants, the prosecutor said, adding they were sentenced for crimes including joining a "terrorist" group, bombings, attempted murder and receiving arms and explosives training. It said the defendants had formed an Iran-linked cell it referred to as the "Bahraini Hezbollah" with the purpose of carrying out attacks in the country. The defendants have the right to appeal the ruling, it said. Of those sentenced, 60 were in absentia, a defense lawyer said. The Britain-based Bahrain Institute for Rights and Democracy criticized the trial as "deeply unfair" and said Bahrain was using revocations of citizenship as a "tool of oppression". 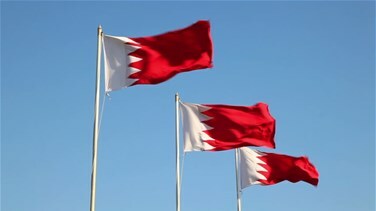 Tuesday's decision took the number of citizenship revocations in Bahrain to 990, 180 of them this year, the institute said in a statement. "A mass trial cannot produce a just result and rendering people stateless in a mass trial is a clear violation of international law," institute Director of Advocacy Sayed Ahmed Alwadaei said. The government denies deliberately targeting the Shi'ite political opposition, saying it is only acting to preserve Bahrain's national security.